We recently received some beautiful pictures from Tatiana Gurtovaya, who, along with her colleague Alexander Zhulidov, lives in Rostov-on-Don, Russia, and coordinates sampling for Drs. Max Holmes (Woods Hole Research Center) and Bruce Peterson (Marine Biological Lab) on the Arctic Great Rivers Observatory (Arctic-GRO) project. 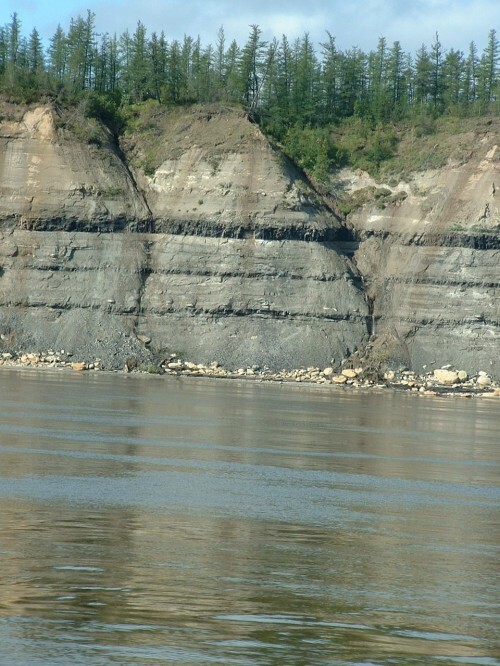 The project, funded under the auspices of the International Polar Year, involves assessing river constituent (chemistry, isotopes, nutrients) fluxes and discharge in the Ob', Yenisey, Lena, Kolyma, Yukon and Mackenzie Rivers. These observations will be used to test hypotheses about the magnitude, controls and ecological significance of these fluxes. The field work will also provide new information on how changes in the rivers impacts the Arctic Ocean. By measuring the flux of water and constituents in these key rivers at the junction between the continents and the Arctic Ocean, the scientists believe they can assess changes occurring across vast regions of the continents. In other words, the rivers may reveal what is going on inland and that information could help forecast imminent changes in circulation and biogeochemical processes in the Arctic and North Atlantic oceans. Monitoring the great arctic rivers is an essential component of any comprehensive Arctic Observatory program and is critical for understanding environmental change in the Arctic. Arctic-GRO is based upon strong scientific collaborations among US, Canadian and Russian scientists. It also represents a major component of the Arctic Circumpolar Coastal Observatory Network (ACCO-Net), an overarching IPY initiative designed to link key coastal erosion monitoring sites with major arctic river sampling sites established as part of the NSF Freshwater Integration (FWI) study. The project links back to the Student Partners Project, a ground-breaking science and education effort conceived by Max Holmes that involved local K-12 students and their teachers at each sampling site. Arctic-GRO teachers and their students are educated in global change and in turn collect river samples of selected constituents at higher frequencies than would otherwise be possible, thereby improving the science.